Our teak corner bench is made from top grade wood. 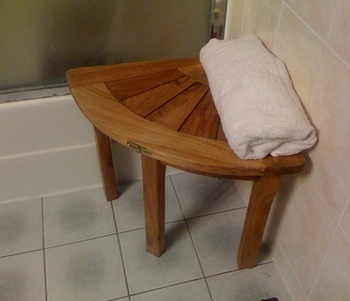 It is perfect for medium to large sauna rooms.Our teak corner bench is made from top grade wood. It is perfect for medium to large shower rooms, outdoors and pool side.